The video formats TS, TP, TRP are familiar to HDTV lovers. There are abundant HDTV channels nowadays, people with top-set boxes which helps receive HDTV signals may often record their favorite TV programs in case that they are not at home or they want to share with friends. The recorded HDTV videos are usually in TS, TP, or TRP formats. How to convert TP to MPEG, burn TP to DVD, transfer TP to MPEG, put TP on iPod, and convert TP files to any video format? Just download the TP Video Converter for free, and convert TP video files to WMV, MKV, SWF, FLV, DVD, AVI, MPEG, 3GP, MP4, iPod, iPhone, Zune, PSP, PS3, Creative Zen, etc. 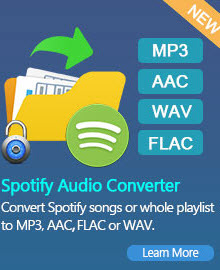 The versatile TP Converter also helps you convert TP to MP3, WAV, WMA audio. Save your time and energy and get better conversion experience! Besides supporting popular video formats, it features supporting HDTV TP, TS, TRP videos which discriminates it from other video converters. It can convert videos to MP4 compatible with almost all popular portable media players, cell phones, PDAs like iPod, iPhone, Apple TV, Zune, PSP, Pocket PC, Creative Zen, Archos, and other video players and audio players. It converts all sorts of video files including WMV, AVI, MPEG, DivX, MP4, MOV, XviD, 3GP, VOB, FLV, etc. It can also extract the audio track from TP videos to MP3, WAV, AAC, AC3, M4A, etc. Only a few clicks are needed, even those on their first time to convert videos will find it easy to use. With professional codecs built in, it can convert HD videos with fast speed and excellent output quality. And it is optimized with the function of deinterlacing. How to convert TP to AVI? Any Video Converter is the most useful TP to AVI converter that can convert TP files to AVI. It features the fast conversion speed, perfect video and audio synchronization, and high output quality. With an easy-to-use interface, you can convert TP to AVI with just a few clicks. The conversion only takes you a few seconds or minutes. And then, you can enjoy your AVI video file made from a TP file on your computer or portable devices. It has also useful editing functions which help you customize your AVI video. TP to AVI Converter can not only convert TP files to AVI, but also convert TP to other popular video formats like FLV, AVI, 3GP, MP4, etc. How to convert TP to WMV or WMV HD? Want to play TP files on Zune media player or Xbox 360 video game console? You need a TP to MWV Converter. Any Video Converter is an excellent TP to WMV or WMV HD conversion tool which can perfectly and quickly convert TP to WMV. TP Converter is also regarded as TP to WMV HD Converter, TP to MPG Converter, TP to MP4 Converter, etc. With such an excellent TP Video Converter, you can easily playback TP video files on any popular video players, like Xbox 360, Zen player, Blackberry, iRiver video, Zune, or other portable WMV players. Free download this TP Converter and have a try. How to convert TP to MP4? Wanna enjoy your TS videos at anywhere and anytime with portable players? Just free download this TS to MP4 Converter and have a try. TS to MP4 Converter is a handy video conversion tool which specializes in converting TS to MP4 format files with perfect quality and fast conversion speed for MP4 players, iPad, iPod, Apple TV, iPhone, PSP, PS3, Xbox, etc. In addition, this TS to Mp4 Converter also supports adding adding .srt external subtitles to TS files, then you can watch the output video with embedded subtitles. Learn how to add a .srt file to TS video, please read this page. How to convert TP to MKV? Any Video Converter is an outstanding TP to MKV Converter. It helps you easily and freely convert TP video to MKV files, M2TS files to MKV, TS to MKV with high output quality, and perfect audio and video synchronization. You also can convert other common formats to MKV. Such as AVI to MKV, WMV to MKV, MPG to MKV, FLV to MKV, MOV to MKV, VOB to MKV, MP4 to MKV, RMVB to MKV etc. In addition to the powerful TP video converting feature, this TP to MKV converter also allows you to trim, crop, add special effects, and deinterlace. How to convert TP to FLV? Love to share your TP files on YouTube? Just get this free and good TP to FLV Converter which allows you to convert TP videos to YouTube accepted video formats. However, which is format is the best for uploading to YouTube? FLV video is the best video format choice for the Internet. Comparing avi, wmv and other video formats, FLV can be viewable on most Operating Systems and web browsers via the widely used browser plugin Adobe Flash Player. Before conversion, you can also edit your TP files with built-in video editing tools, such as set video brightness, contrast, saturation, crop video, trim video/audio and even merge multiple files into one file. Batch conversion is also supported by this powerful TP to FLV Converter. How to convert TP to iPad, iPod, iPhone? TP Video Converter works perfectly for almost all popular video/audio players like iPod touch, iPod classic, iPod nano, iPhone, Apple TV, PSP, PS3, Creative Zen, iRiver PMP, Archos, various video mobile phones and many other digital video and audio players. 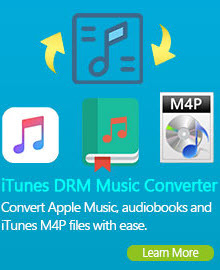 It is a convenient TP to PMPs converter providing optimized settings for some video/ Audio Player devices, such as iPod video, iPod touch, iPod classic, iPod Nano, iPhone 3G, iPhone 3GS, Apple TV (MP4), Walkman (MP4), Sony PSP, PS3 (MP4), Creative Zen portable media player (AVI), Archos portable media players (AVI), iRiver PMP portable media player (AVI), Cell phones (3GP, 3GP2, MP4) and other digital video and audio players. Video WMV (supported by Zune HD, Windows Mobiles, etc. ), MP4 (supported by iPod, iPhone, PSP, Apple TV, Gphone, Blackberry etc. 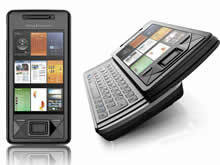 ), 3GP (supported by 3G mobile phones), FLV (suitable for online transfer), AVI (supported by Xbox 360, BlackBerry, Archos, Creative Zen, Wii, etc. ), MPEG-1, MPEG-2, MKV, 3G2, SWF. TP file is created by Beyond TV digital video recording software used to record video. This file is recorded using a compatible TV tuner card and a television source such as analog or digital cable, satellite, or antenna. TP files capture data from a transport stream (TS), which is a communications protocol for audio, video, and data. It is a type of digital container format that encapsulates packetized elementary streams and other data. TS is specified in MPEG-2 Part 1, Systems (ISO/IEC standard 13818-1).